Artist Code: 1007. Completed February 2010. Original SOLD. Water colour on Aquarelle Arches 100% hot pressed cotton rag. Unframed size 16″ x 12″. Copyright© re-assigned to commissioner in writing (except for greetings cards). 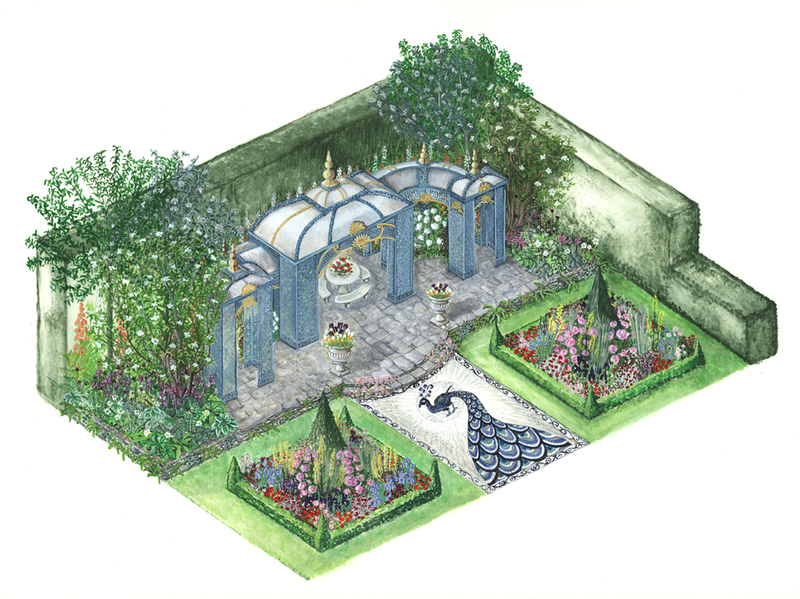 This angled, scaled painting was commissioned by PHILIPPA PEARSON, Garden and Landscape Designer, and her associate, JONATHAN DENBY. Philippa and Jonathan were selected for the first time to show a garden at the Chelsea Flower Show (2010), entitled, “The Victorian Aviary Garden”, which received a silver medal. 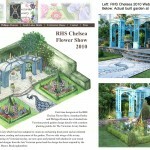 The brief was to design a scaled artist’s impression of the garden, I spent much time on the internet getting to know the beautiful flowers that were planted in the garden, and produced my own little booklet containing guide sketches of the plants, with sizes and colours, which enabled me to make a reasonably accurate portrayal of the finished garden. Philippa had already tried several artists but had not been pleased with the results. So I felt a bit pressured into getting it just right for her and Jonathan. Producing the initial sketch was arduous and extremely time-consuming, but the sketch was approved with a few minor amendments. Getting the sketch on to good paper took rather a lot of time also, but the painting (the best bit) was wonderful—my little booklet came in very handy. This was a lovely commission, and I thoroughly enjoyed myself in its making. 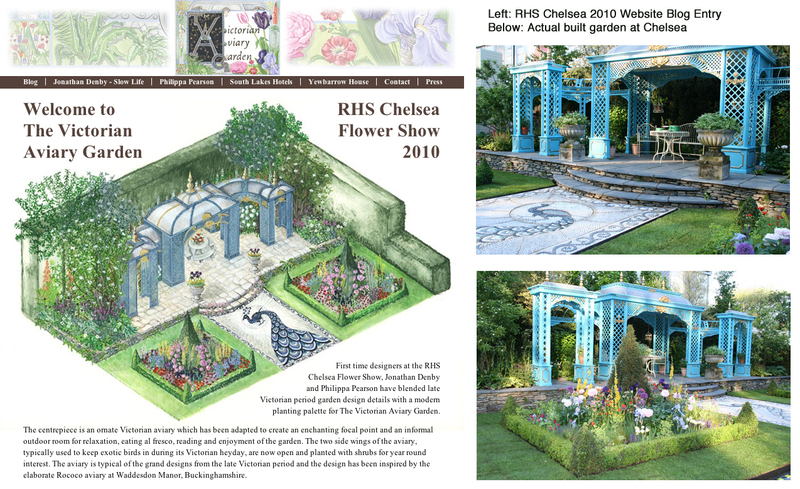 It was nice also to see my artwork on the Chelsea Flower Show website!